Redefine your online store with a custom Shopify website! Need a custom shopify website that boosts your online store? You’ve got the goods, now it’s time to spark the interest. With a lineup of expert Shopify developers onsite in Brisbane, we help businesses across Melbourne and wider Australia further establish their web presence. While you may already have a site in tow, it might be lacking that extra punch to make a mark. With an inundation of competitors all vying for the attention of shoppers in your space, dominating the environment is about more than just having good-looking website. These days, you need a user-friendly, powerful platform that turns pure visitors into a constant stream of conversions. Aimed at businesses who require an end-to-end ecommerce platform, Shopify is a packaged experience that fosters brand growth. Setup your online store, manage your inventory and customise your shopfront will a full suite features. Top it all off with an expert Shopify developer – like ours in Brisbane, Melbourne and nationally – to further hone in on the platform’s unmatched offering. Best of all, this nifty software is complete cloud-based, meaning there’s no reason to sweat it over having to manage or upgrade web servers to run your store. With added flexibility to run your business from wherever you have an internet connection, it’s the best choice for ecommerce brands that need simplified web support. Got an existing website that’s seen better days, or just doesn’t quite do what you need it to? Create a brand-spanking new look and feel with the help of our savvy custom Shopify website experts, situated in Brisbane and across Melbourne. 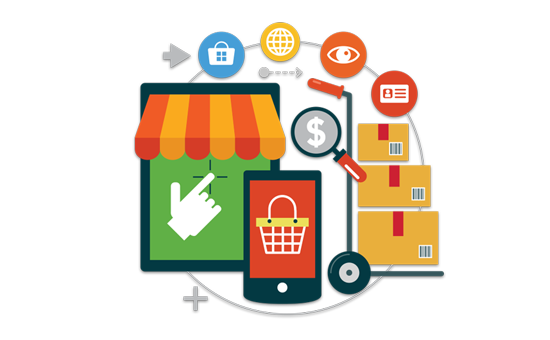 Having helped hundreds of clients achieve storefronts that pack a punch, we’re more than experienced in creating online stores that adhere to business objectives. Add in your vision and our artistic flair and you’ll reap the benefits of a conversion experience that betters your return on investment. Not sure if Shopify’s the right move for you? If you’re currently situated on an alternative, we’re not going to push you into making any big decision. However, if you’re not completely satisfied with what your platform is doing for your website, we recommend getting in touch with our Shopify developers to better understand what’s involved with this service. Designed to bring you zero downtime to your business, we can help you transition from another host over to Shopify, creating a seamless, stress-free path to the move. Let us work out all the nitty gritty stuff so you can spend more time working on your actual business. 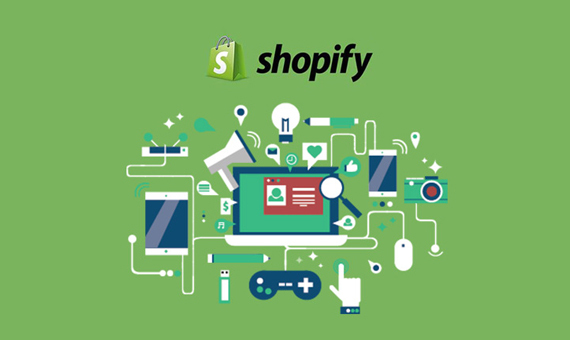 The evolution of ecommerce is still only in its infancy, so the many features that roll out from the likes of Shopify are endless, impressive and able to charge up an entire business. Equip its high-end capabilities to allow your brick-and-mortar to reach new audiences, enabling you to increase your brand awareness across the board. Ease of use : This platform has designed to be zero fuss, so it means minimal setup and tweaking to get started. The technical aspects are on the smaller side, and with any more complex requests, custom Shopify web developers like ours can help eliminate any challenges. Attractive designs : With an abundance of options for developers (like our experts) to create stunning designs, it’s the perfect way to get your brand into the spotlight with a first impression that lasts. App add-ons : Weave in your favourite apps and functionalities with Shopify’s integrations. Enhance your storefront with impressive features that improve both user and seller experience. Safe and secure : One of the biggest advantages is its emphasis on security. Gain a peace of mind in knowing your website is safe from malicious attacks. Fast loading speeds : Important to SEO and user experience, loading speeds on this platform are optimised to be rapid. 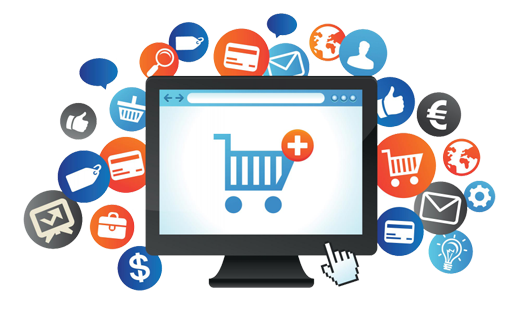 Instead of lagging behind your competition, make a lasting impression on your audience with a stunning custom Shopify website from tprmedia. With many years’ experience in the industry, we’ll help you redefine your online presence and garner the positive attention you’ve been seeking from your biggest prospects. Get started by contacting our friendly experts on 1800 896 599 now. We’ll guide you through the process involved, what you can expect and the solution to best suit your budget.